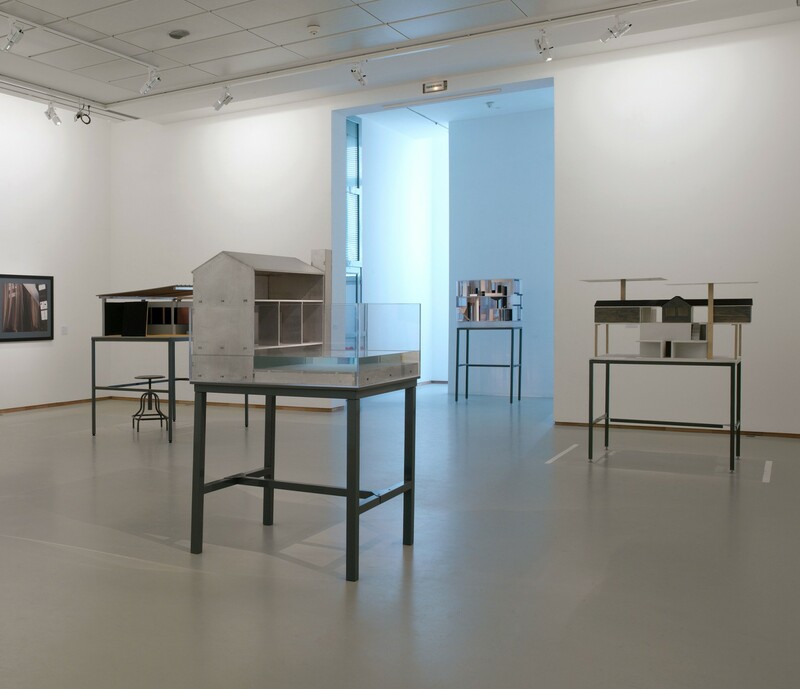 A series of sculptures created in 2004, THE HOUSE SCULPTURES examine spatial structures and their perception. 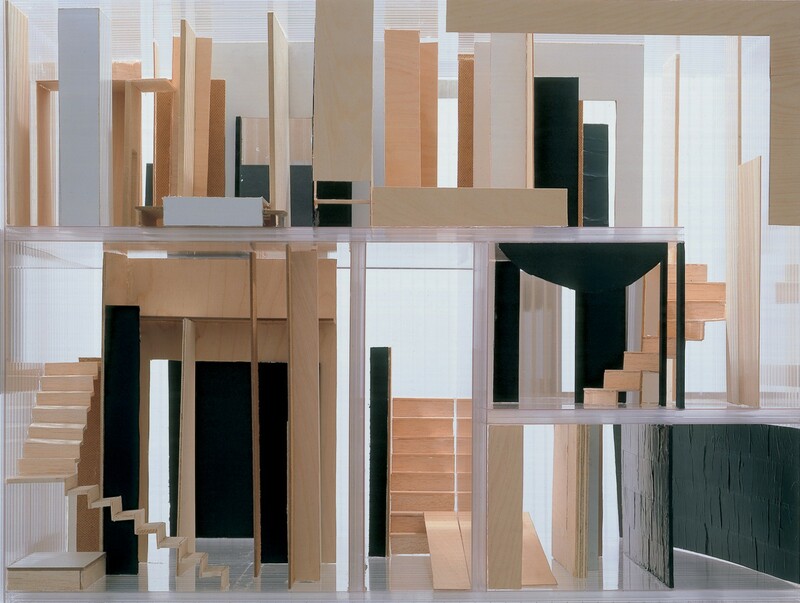 The sculptures, made of very diverse materials, resemble architectural models. 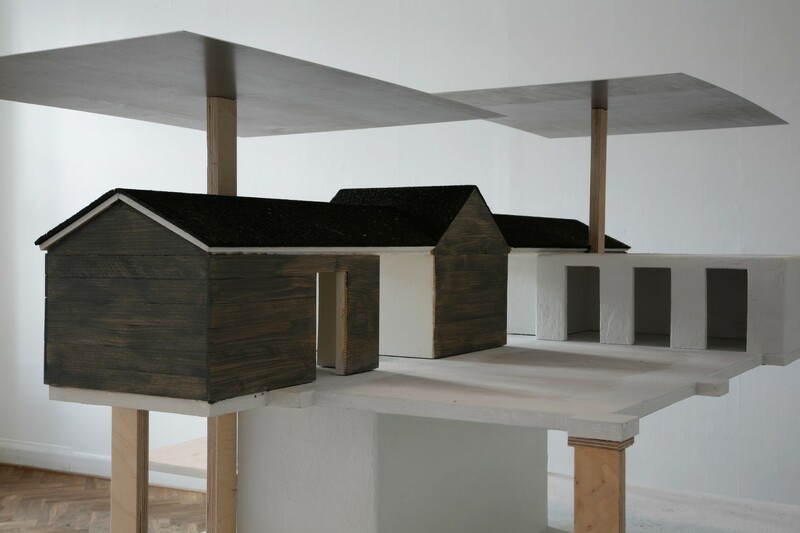 These sculptures, created two years after Ahtila’s video installation The House, experiment with various spatial structures. In this process, the plastic object is used to make the occasionally contradictory ideas and concepts of the house as such concrete. While on the one hand the home is considered to be a place of protection, calm, security and community, on the other hand it is also associated with self-isolation, confinement and secrecy. Deserted and devoid of furniture, the model houses look not so much inviting as forbidding. Places usually considered to be havens for humans become precarious structures and can be seen as symbols of human consciousness. 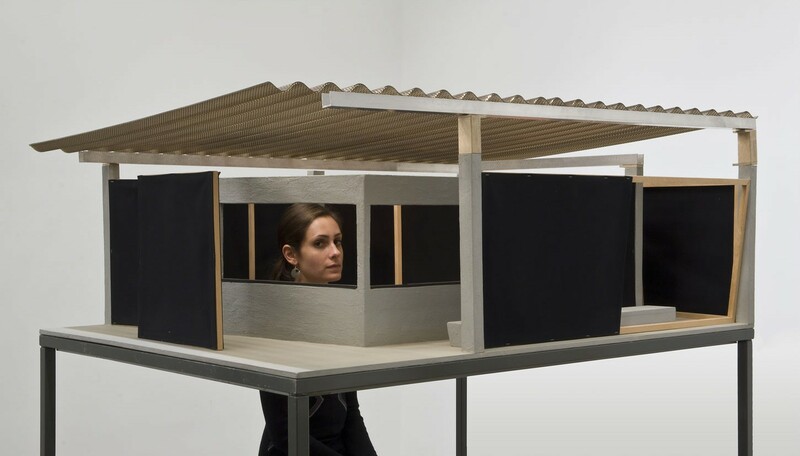 Their appeal lies in how the viewer is integrated into the work, especially in The Tent House. 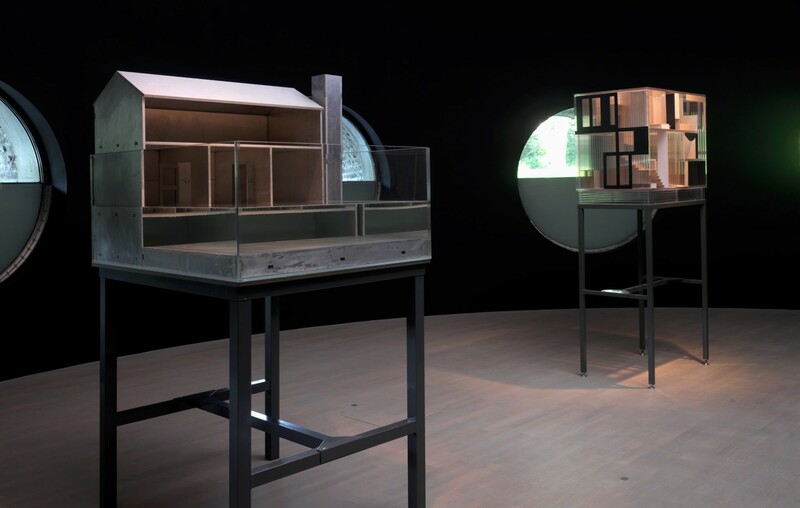 As the viewer is playfully asked to view the architectural conditions from different perspectives, they are made directly aware of the dependence of perception on one’s point of view – a fact everyone is familiar with but one which tends to be overlooked in the search for universal truth. One of the fundamental tenets of Ahtila’s works, however, is that a change of perspective can reveal new, equally true facts about the same object. The in-depth investigation of space and sculpture play an essential role in the structure of Ahtila’s filmic work as well as her manner of addressing the viewer. Even though the works are associated with impressive cinematic worlds, complex, non-linear narratives and everyday occurrences interspersed with surrealist moments, it is this investigation of space that results in technically perfect images and a meticulously designed and executed production in the museum or gallery space. 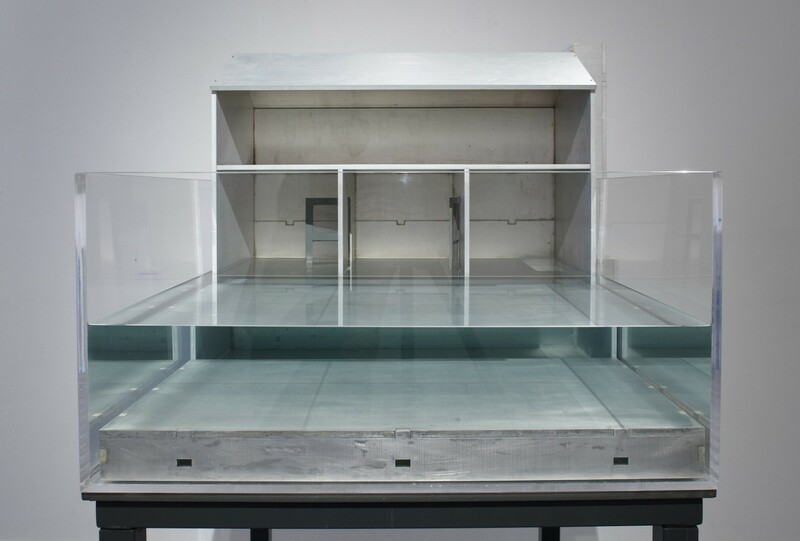 THE CLEAR HOUSE is made mostly of acrylic glass, wood and foam, a choice of material that allows insights from outside. And yet the unimpeded view suggested at first is obstructed, because the unconventional handling of architectural elements like walls or staircases controverts every logical, functional interior house structure. THE POOL HOUSE is completely flooded with water, which makes even virtual access impossible. In THE SHADE HOUSE, the plaster house is covered by stainless steel sheets which shade as well as protect the house.